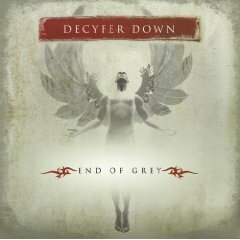 The roots of Christian rockers Decyfer Down go back to more of an acoustic outfit than a Alternative-Rock band. Drummer Josh Oliver and guitarist Brandon Mills started the band in Atlantic Beach , North Carolina USA , in 2002, at a time when each simply needed to renew his life in God. Eventually Oliver's brother Caleb joined the band on vocals and bass, the addition of Metal-driven guitarist Chris Clonts was the final ingredient to the Decyfer Down's sound. Originally operating under the moniker Allysonhymn (pronounced "all-eyes-on-him"), Christian rockers Decyfer Down create a wall of sound with a message. 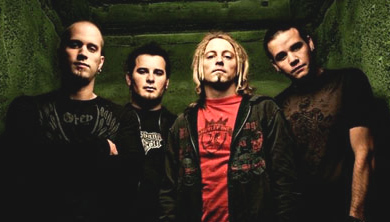 SRE Recordings signed the quartet and released their debut album, "End Of Grey", in June 2006; the 10-track set reached the #43 position on Billboard's Top Christian Albums chart spawning their first local Rock-radio hit with "I'll Breathe For You" and a more sizeable hit single with "Fight Like This". Caleb Oliver left the lineup shortly thereafter, and former Fighting Instinct vocalist T.J. Harris enlisted in his place. Returning in 2009 with the sophomore effort Crash, a new 3-song digital EP which includes the new Rock-radio single Crash. Not only does the disc overflow with ambition, confidence and overall creative excellence, but the aggressive endeavor also finds the players digging in an even more mature lyrical direction that simultaneously meets listeners of any association exactly where they are, while challenging them to make assertive strides towards increased personal fulfillment. "As has been the band's tradition, Crash is certainly capable of connecting with crowds, if only for the unflinching degree of honesty within the lyrics and the overall vibe of the album," notices fresh faced front man TJ Harris. "As a band, our hope is that listeners will be inspired to explore themselves to an even deeper degrees and that's an energy I continue to feel every time we deliver these songs on stage." "Beyond the maturing process on this record, we want to influence culture more than ever before," echoes Josh. "The way we write songs is based on the things that have inspired our lives the most. The songs throughout Crash speak on a lot of topics that we haven't addressed before and we hope to take a walk through your life--your triumphs, your struggles, maybe even some of your addictions--and confront those to the point where you find yourself being impacted by love, hope and a clear vision of how to move forward." The band has shared the stage with great names like Cold, Puddle Of Mudd, Breaking Benjamin, Crossfade, Strata, Theory Of A Dead Man and more. 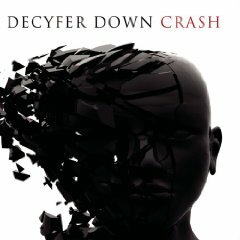 Decyfer Down is gearing up to hit the road this fall and see what you sound like singing along.